But making a good decision and avoiding a horrible one is not a chance act. It's a skill-one that can be learned, honed, and perfected. Mastering the art of critical decision making is the key to improving your life at home, at work, or in your community. When you understand the necessary components of a smart decision, you can examine mistakes you might have made in the past and sidestep potential mistakes in the future. And when you know the underlying psychological, social, and emotional components that influence decision making-whether they are your own decisions or the decisions of others-you can make sounder choices that produce better results. 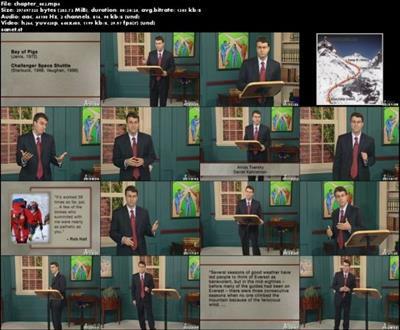 Now you can learn to approach the critical decisions in your life with a more seasoned, educated eye with The Art of Critical Decision Making, a fascinating 24-lecture course that explores how individuals, groups, and organizations make effective decisions and offers you tips and techniques to enhance the effectiveness of your own decision making. Taught by award-winning Professor Michael A. Roberto of Bryant University-a scholar of leadership, managerial decision making, and business strategy-this dynamic course is an engaging and practical guide to one of the most fundamental activities in your life. The individual level: Studying how individuals make decisions reveals a wealth of insights into how-and why-they make particular choices. Most individuals do not examine every possible alternative but instead draw on experience and rules of thumb. Most of us, it turns out, are susceptible to what psychologists call cognitive biases: decision traps that can cause us to make certain systematic mistakes when making choices. You also learn how intuition, surprisingly, is more than just a gut instinct and represents instead a powerful pattern recognition capability. IDEO's appropriate use of expertise: You study the decision-making practices of this California-based design consultancy. One of the key lessons you learn is that IDEO uses experts and their knowledge in an appropriate manner-recognizing that sometimes expertise as defined by past successes is not always ideal in a quickly changing environment. General Motors' financial woes: In 1972, General Motors was the nation's most profitable company, but in late 2008 the carmaker's profitability sank drastically. According to Professor Roberto, the management team's assumptions during the 1970s-including the persistence of energy sources and the internal promotion of managers-were proved false in the near and long term and only perpetuated outdated ways of thinking in the company. Whether you're the head of a Fortune 500 company, a government agency, or an everyday household, you constantly make decisions important to you and those immediately around you. 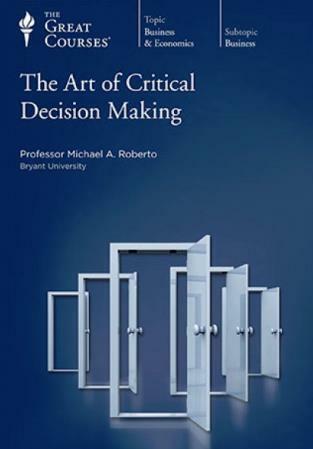 The Art of Critical Decision Making offers you a toolbox of practical knowledge and skills that you can apply to various decisions-whether large or small-in your everyday life and work. As you explore the intriguing process of making a good decision, you strengthen your grip on individual theories of decision making and the situations-both well known and relatively obscure-that illustrate them. The Art of Critical Decision Making Fast Download via Rapidshare Upload Filehosting Megaupload, The Art of Critical Decision Making Torrents and Emule Download or anything related.